Celebrities and Their Musician Doppelgangers! These famous stars have great careers -- and celebrity look-alikes. 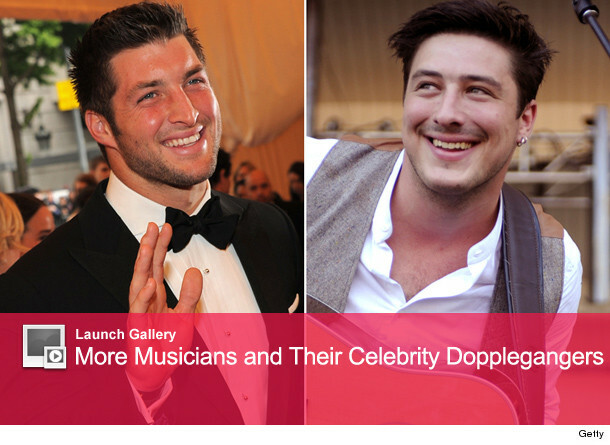 From Zooey Deschanel and Katy Perry to Tim Tebow and Marcus Mumford, check out our photo pairings of stars who resemble each other. Then head over to Virgin Mobile Live to see more celebrities and their doppelgangers, including Ryan Reynolds, Will Ferrell and even Angela Lansbury (you won't guess who her musician look-alike is)! 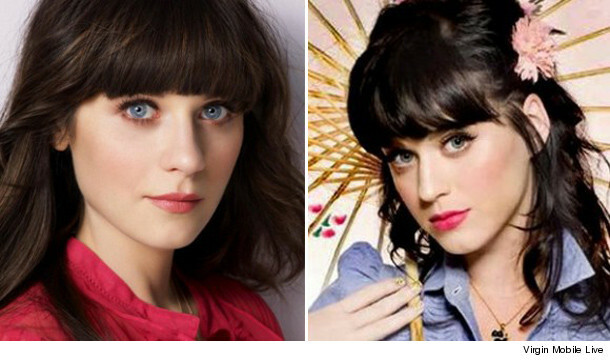 The "New Girl" actress and the pop star are both quirky, girly girl types. Their resemblance is uncanny! 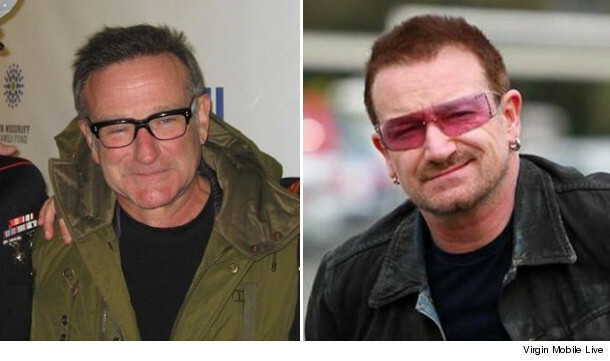 One is a funnyman, the other a frontman for U2! 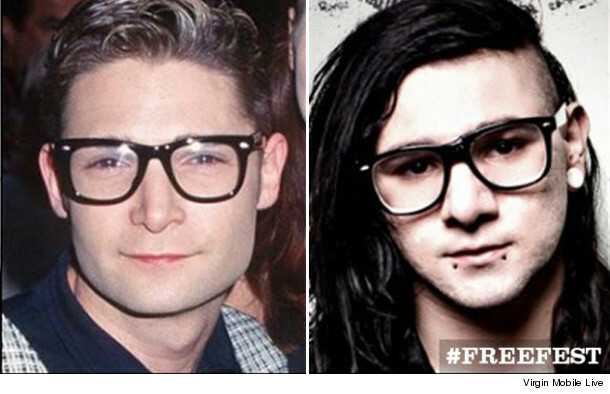 The '80s actor and electronic artist could be twins ... aside from the facial piercings. 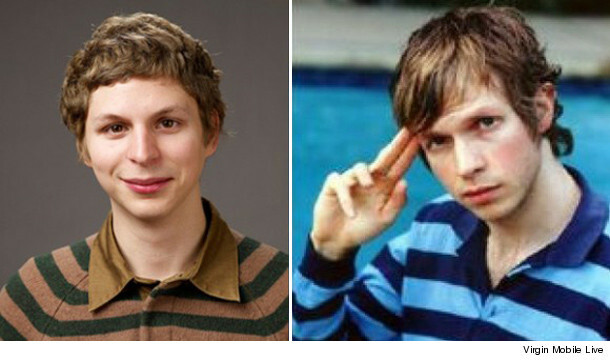 Both are kinda geeky and clearly share the same fashion sense. Tim is a back-up QB for the New York Jets, while Marcus leads Mumford & Sons. Both are well-respected in their fields -- football and rock, respectively. To see 20 celebrities and their celebrity doppelgangers, click on the "Launch Gallery" button above or click here. Famous Guys With Gorgeous Daughters!